My wife and I like to think, at times, that we’re taking a death-defying adventure. So every now and then, when up in the Great Smoky Mountains National Park, we decide to take one of their one-way roads, of which there are a few. 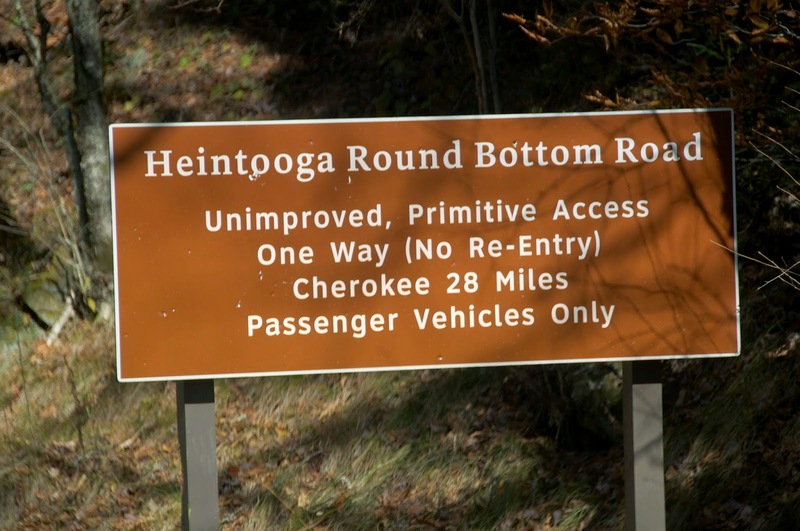 This past October, the Heintoga Road was on our agenda. The road begins high atop Balsam Mountain and winds its way down to Cherokee NC, some 28 miles away although the one-way part is only about 11 miles. Its not the first time we have taken the road, and probably won’t be the last. One previous trip we were in the van of my brother-in-law and he was doing the driving. My wife, sister, brother and his wife were aboard. That trip was an adventure. We were young, he was a mechanic (and could make repairs if needed), and he drove as though we were on a LeMans course. Down and down, around and around, seemingly faster (15 or 20 mph) as we got closer to the bottom. Well, this last trip wasn’t like that. 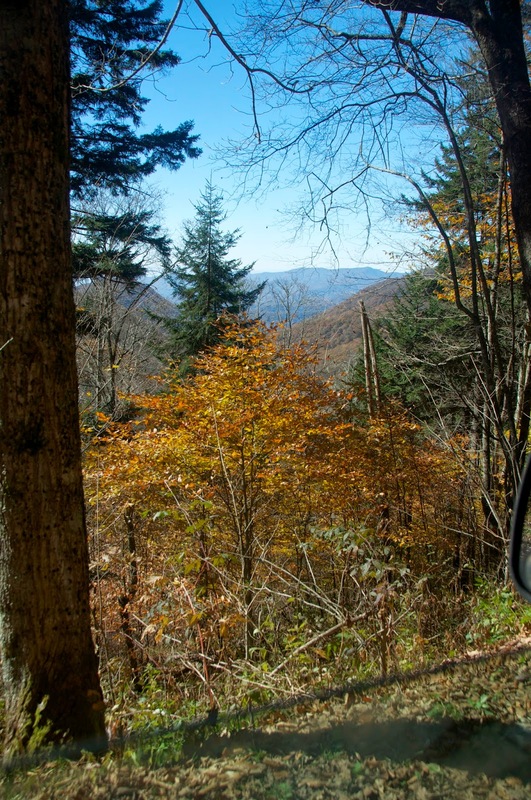 We had an aged van, it was just the two of us, some 30 years older, and we just mosied down the side of the mountain, enjoying the terrain, some fall colors and the fact that there weren’t any more vehicles anywhere nearby. It was slow-going. The drive seemed longer than the last time, and rougher. The unpaved, rutted road, offered up more exposed rocks which I didn’t seem to remember in the past. Down and down we went and, since you are reading this, we made it. On the final stretch, along a two-way section on the bottom, we pulled off overlooking a stream and had lunch. The trip is not for everyone. I read a review, and what the guy said about the adventure was true, but he just didn’t like that kind of adventure. He didn't like the fact, the trip was slow and there weren't any panoramic vistas. 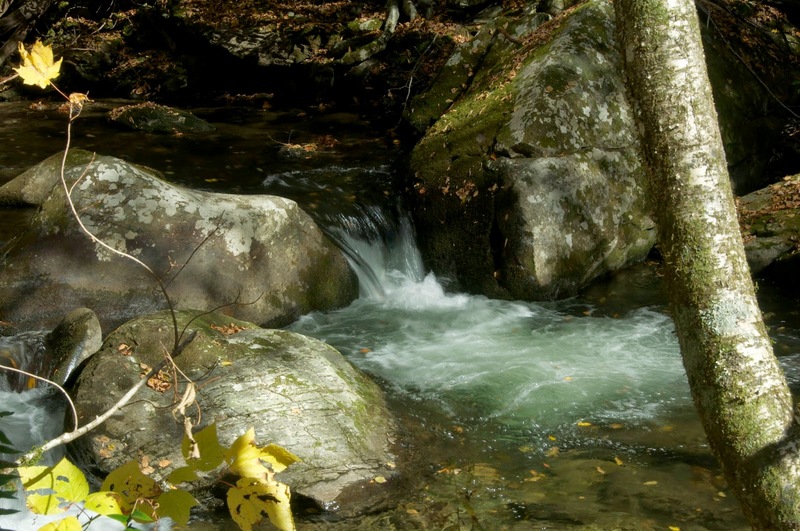 Others truly love the drive because of what it is — a serene stretch of wilderness road with bumps and turns and your vehicle not going more than about 10 miles per hour -- and very few other humans.